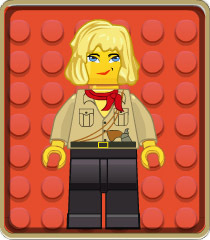 "Stella Jones" LEGO style ;)I'd love to know what you think about the site. Please write to me if you have any corrections or ideas for improvement, if you have questions about the games that aren't answered here, or if you just want to say hi to a fellow Indy fan. Email me at or fill out the form below. Add me as a friend and message me on Xbox Live. Add me as a friend or leave a comment on my profile on YouTube. Follow and/or message me on Twitter (@stellalune). Visit and comment on my Tomb Raider blog. To ensure that only human beings (and not spam bots) use this form, please type "Indiana" in the box below (without the quotes). Then click "Send".